Play! Git (2018/06/03) is complied. Play! 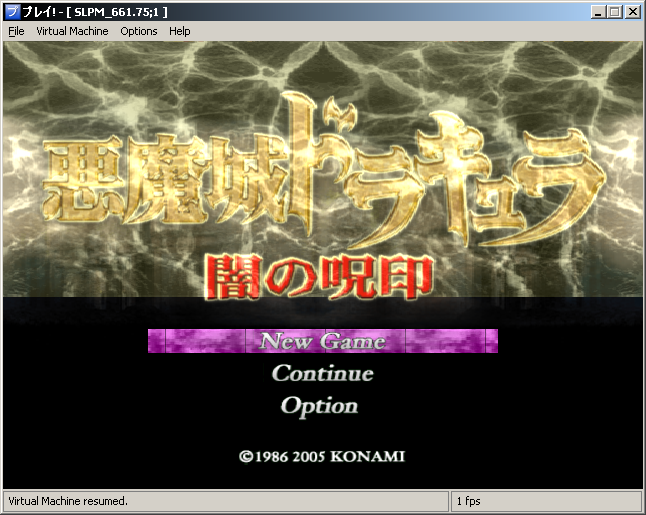 is an attempt at creating an emulator for the PlayStation 2 (PS2) console on the Windows platform. It is currently written in C/C++. It uses an instruction caching/recompilation scheme to achieve better performance while emulating the CPU. * Handle TEX0.CLD == 3 case. * Move code inside try block to prevent crashes. * Map some more MCMAN/MCSERV functions. * Add sensible reset values for CL and WL. * Add basic destination chain transfer mode support for DMAch8. * Add destination chain DMAtag ID enums. * Rename source chain DMAtag ID enums. * Map some MCMAN/MCSERV functions.